First and foremost, apologies to all who follow the WaldaBlog and were disappointed to find no recent posts for almost six months. Thanks for not losing faith! More regularly scheduled post to come! Now that we are back in the swing of things, how about an update on the main attraction for 2013? 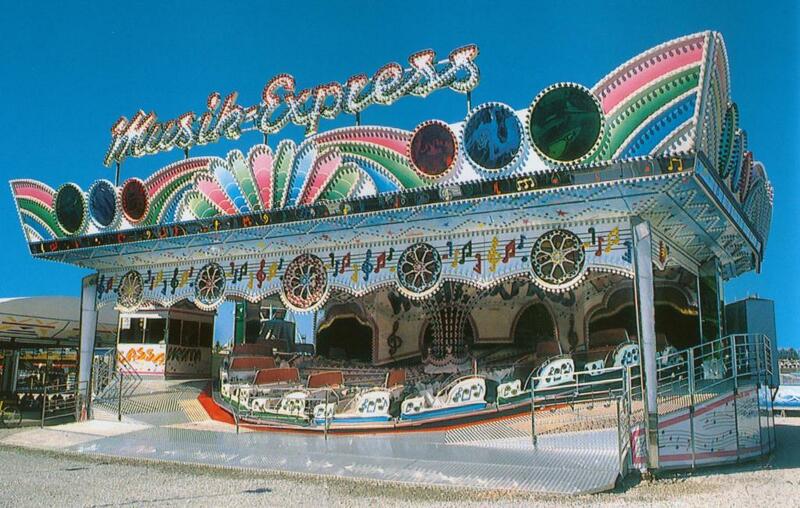 Here is a photo of what our Music Express will look like. Hopefully they spelled "music" right! Arriving on Friday, December 14th, the first two containers for the new Music Express were carefully unloaded and the parts were spread out all over the parking lot. Checker plate decking, fiberglass "gingerbread", light fixtures, and plenty of steel structure were sorted, ready to be put together. Saturday, December 15th saw the arrival of Bertazzon's installer, Loris, who got right to work placing the first, and most important piece to the ride: the 9,000 lb. center. Once that important piece was in place, all of the base structure was put in place. Monday, December 17th was the day to raise the roof! The roof structure was assembled at ground level and then hoisted up using pulleys. Most of the fiberglass and lighting were put up before the roof was raised. Today, December 18th looks like most of the track, decking, and cars will be put together. There are still many pieces of this puzzle to be put in place and the steady rain shower is not helping any. But never fear! 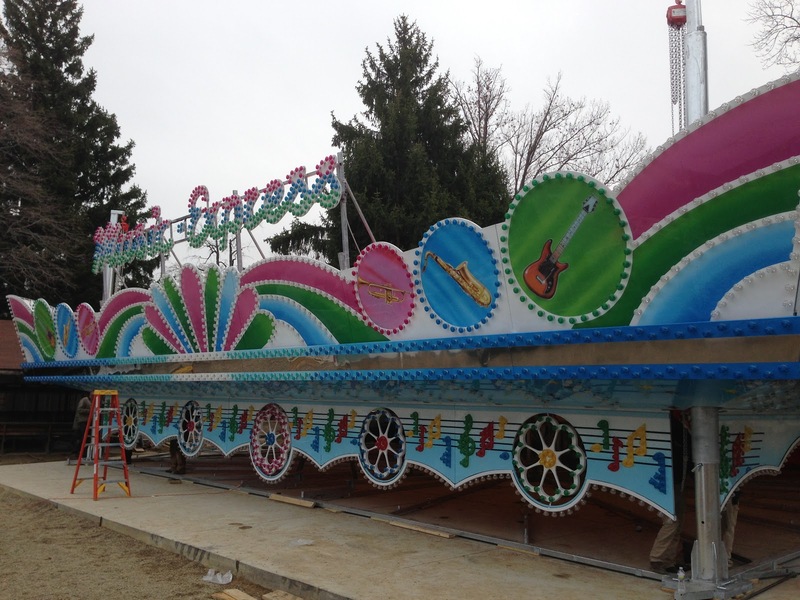 The Music Express will be ready to go for it's Grand Opening on Saturday, December 22nd from 11:00am to 5:00pm. 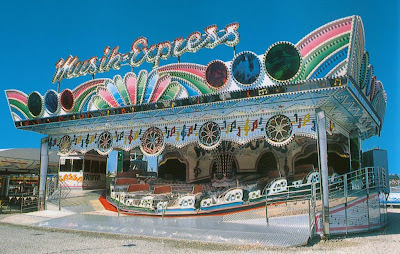 Any one wishing to brave the predicted cold weather this Saturday can ride the new Music Express. All you need is you 2013 Season Pass card and you get two free tickets to ride as well as two tickets for hot cocoa! How's that for a Holiday Gift! Learn more by visiting Waldameer's web page and be sure to check out the Event Details on Waldameer's Facebook Page. glad that the new ride is taking shape what iswaldameer planning for 2014? i am super excited to see if the new ride will attract more costomers! anyways see you soon waldameer park!